You are at:Home»News»FSFX Packages Status Update | Chaseplane & Immersion Packages! FSFX Packages Status Update | Chaseplane & Immersion Packages! FSFX Packages have today released a status update talking about Chaseplane and their Immersion Packages! In a post on their website they wrote: “ChasePlane news! Since we announced ChasePlane last September, we said that we planned to have v1.0 in “Early 2017”. We then pushed it back to “First half of 2017” and here we are today, a few days from that statement’s expiration date. Truth be told, a lot has changed since we announced the product. Some features worked perfectly on first try while some others needed to be removed to retain stability for all users. We took a lot of time to optimize and fix issues on the platform while adding planned features along the way. On top of all that, we had to make fundamental changes to the app’s structure to make it compatible with P3Dv4 64bit. Today, we are very close to our goal for v1.0. We are done adding new features to the platform until v1.0 and moving our development focus toward making it a bug-free experience. This being said, we have not had the time to create the User Manual, Interactive Tutorials, Instructional Videos and other content people are expecting for v1.0. We are pushing ChasePlane into Beta this week and we are dedicating as much time as possible toward making the required content for the v1.0 release. We do not have a time estimate right now as to when those will be ready. They have to be perfect and we will not release v1.0 without having this content ready. 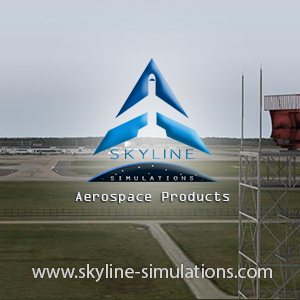 Currently, our Immersion series of products does not support P3Dv4. We need to get a few things fixed to have everything working (A DLL, among other things) and we currently do not have an estimate on when this is going to be updated. Meanwhile, PrecipitFX fully supports P3Dv4 and can be installed through VFXCentral, as you would expect! 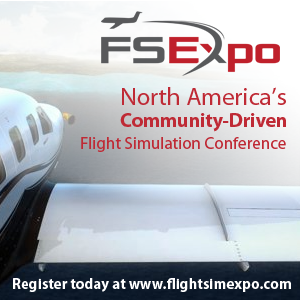 As some of you might have seen, we announced 717 Immersion while at FlightSimCon! We will make a formal announcement down the line with feature list and explanation of what does what but we don’t have more information to provide right now (other than the picture at the top of this article). Previous ArticlePMDG DC6 Cloudmaster Coming Soon to FSX & P3D! Next Article FlyTampa KLAS Las Vegas Preview!